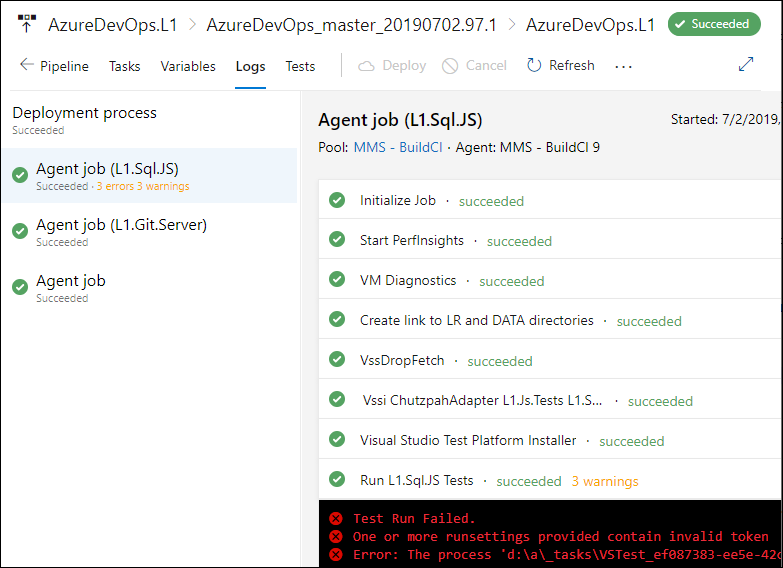 Azure DevOps Services integrates with Azure Application Insights to allow continuous monitoring of your DevOps release pipeline throughout the software development lifecycle. Azure DevOps Services now supports continuous monitoring whereby release pipelines can incorporate monitoring data from Application Insights and other Azure resources. When an Application Insights alert is detected, the deployment can remain gated or be rolled back until the alert is resolved. If all checks pass, deployments can proceed automatically from test all the way to production without the need for manual intervention. Select an existing Azure DevOps Services Project. 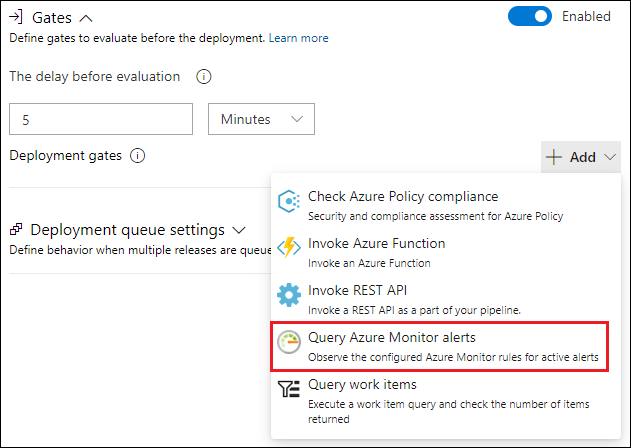 Hover over Build and Release > Select Releases > Click the plus sign > Create release definition > Search for Monitoring > Azure App Service Deployment with Continuous Monitoring. Next to the red exclamation point select the text in blue to View environment tasks. A configuration box will appear, use the following table to fill out the input fields. Application Insights resource name Drop-down populates with all Application Insights resources that correspond to the previously selected resource group. To modify the predefined Alert settings, click the box with ellipses ... to the right of Alert rules. Click the drop-down symbol next to Availability. Modify the availability Threshold to meet your service level requirements. 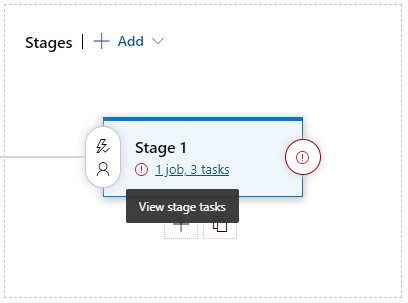 Select OK > Save > Enter a descriptive comment > Click OK.
Click Pipeline > Select the Pre or Post-deployment conditions symbol depending on the stage that requires a continuous monitoring gate. Set Gates to Enabled > Approval gates> Click Add. Enter a Gates timeout value. 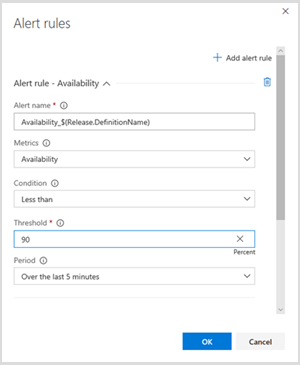 Once you add deployment gates, an alert in Application Insights which exceeds your previously defined threshold, guards your deployment from unwanted release promotion. Once the alert is resolved, the deployment can proceed automatically. To observe this behavior, Select Releases > Right-click Release name open > Logs. To learn more about Azure Pipelines try these quickstarts.